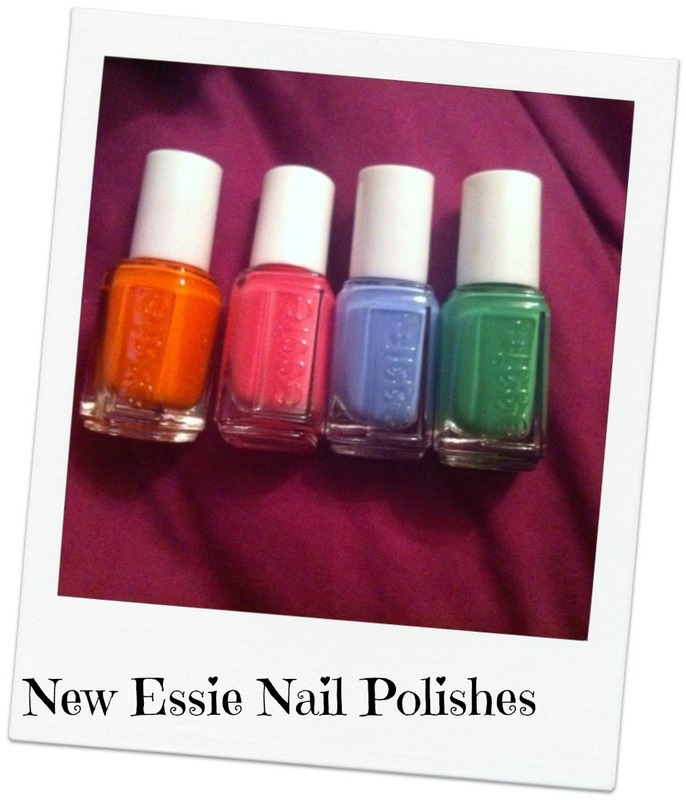 A few days ago I bought Four Essie Nail Polishes from a website called Buyapowa, I had never heard of it before, but someone tweeted about it, I had a look and signed up. "But what if the more friends you took along, the better the products on offer? That’s the principle of the Co-Buy: co-operative buying power. Ancient civilisations had the same idea. What’s new is how perfectly it dovetails into this generation’s defining behaviour patterns. Ideas and crazes spread faster than ever before. Everything is shared. Why not buzz about your products and services?" And you can read more about Buyapowa from their website which you can find HERE. 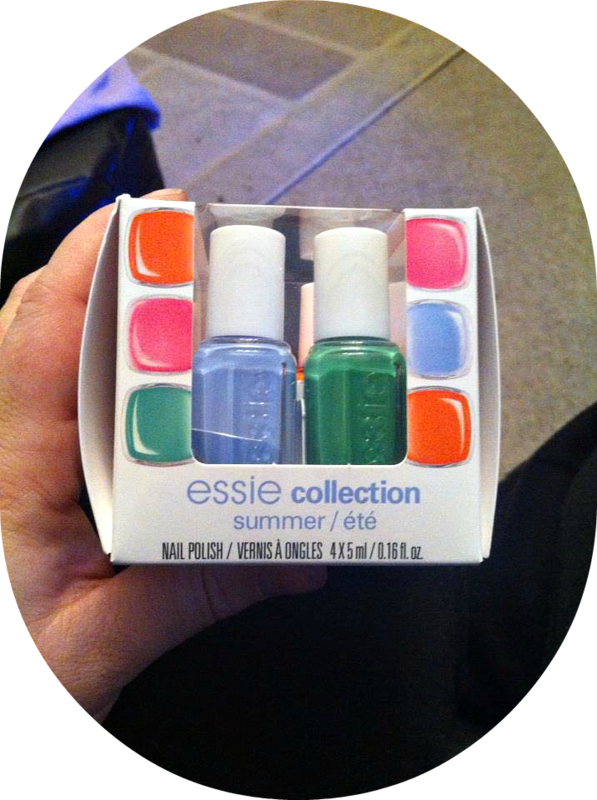 Anyway, I have got home tonight and these are my Essie Nail Polishes - what do you think? Can’t decide which colour you want? Well you don’t have to! 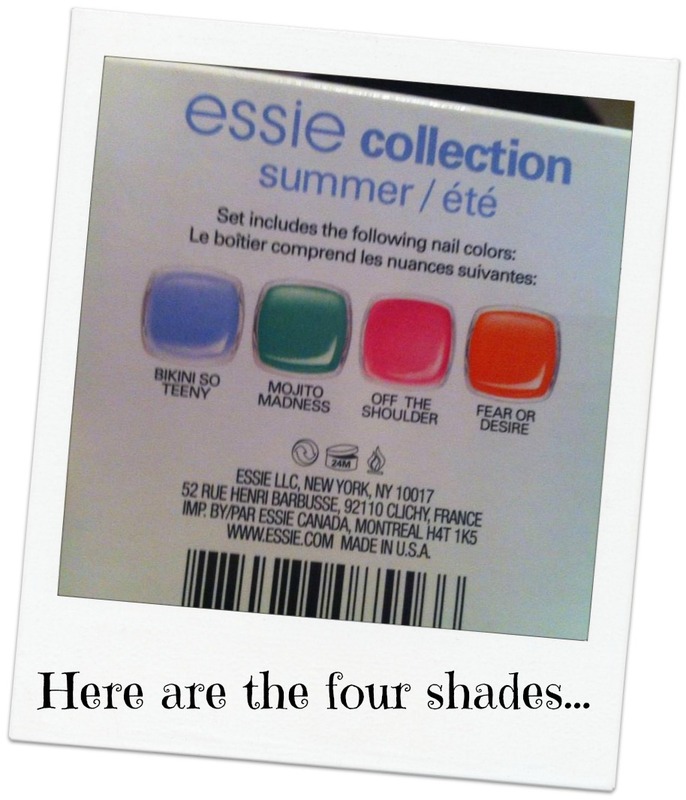 Essie Mini Summer 2012 Collection contains a quartet of your summer favourites to get you set for some summer fun. Get set to wow with Essie Mini Summer 2012 Collection- these perfect handbag sized shades will take you from beach babe to glamour puss in no time! Essie’s chip resistant formula and outstanding durability is not only easy to apply and fast drying, but will give your nails superb coverage and a professional finish. DBP, toluene and formaldehyde free. Essie Bikini So Teeny- 5ml - A sparkling, cornflower blue shade. Essie Off The Shoulder- 5ml - The boldest, hottest pink shade there is. Essie Fear Or Desire- 5ml - A bright, orange crush. 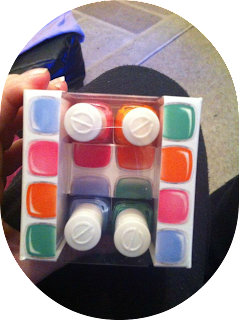 I only paid £6.95 (plus £1.95 P&P) for these nail polishes and I do love their colours, they are so refreshing and so bright, I can't wait to try them out. Did anyone else purchase these? Already have them? Like them? I bought this last year and used them all summer!! I love getting these mini bottles, they're def the best!! That's a great deal! I love Bikini So Teeny. I love ESSIEs!!! Theyre great polishes! I didnt get this set, but i got the Winter one and have several full sized bottles -its a brilliant polish, great to apply, stays on great! Really cute nail polish colors. I love Mojito Madness & Fear or Desire! I go through phases of using nail polish. If I'm good and don't bite or pick my nails I get a bit obsessed with them being perfectly painted. At the minute they are short so I have to wait until they have grown a bit before I start painting again. I've never actually tried Essie before. Love this collection and such a bargain!! Lovely bright colours for summertime! really like the green one! Great find, love the colours! New follower! I love that green shade of polish, going on my wishlist! Those shades are lovely! great summer shades :) new follower here. check out my blog www.beautydosage.com and follow back :) would mean alot! Hi there! I'm writing from Ontario, Canada. We have Essie nail colours here, and I've tried 3 different colours. All have covered well, dried quickly, and have long life on the nails. I'd certainly recommend that others give them a try.